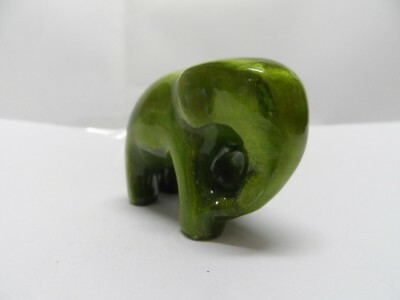 The artisans and other workers involved making these elephants earn a fair wage which is at least equal to or above prevailing local rates. Men and women earn the same pay for the same job; sick pay is provided plus paid holidays and time off for festivals - an important part of life in India! By buying this you are contributing to the development of fairer working conditions in the local community.